Plymouth Devils will launch a second team to compete in the third-tier National League next season. The Devils' senior team race at Premier League level, but plan to use the National League line-up to develop local talent. "Everyone's positive about 2014 and we're pleased to welcome Plymouth," said league co-ordinator Peter Morrish. Plymouth will be joined in the National League by champions Dudley, who are now racing under their old name of Cradley. 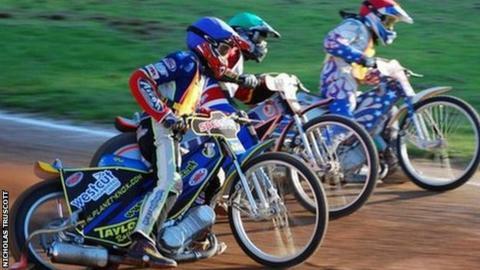 Buxton, Kent, Mildenhall and Stoke will all return in 2014, along with Elite League clubs Coventry and King's Lynn who - much like Plymouth - operate at National League level in addition to their senior side. The Isle of Wight have yet to confirm their involvement and have been set a deadline of 31 January 2014 to join the league. "It's a great pity that the Isle of Wight are unable to declare for 2014 at this stage, but the door does remain open to them and we would be very happy to welcome them back," added Morrish.